Outboard Lower Drive for 3.5cc motors. 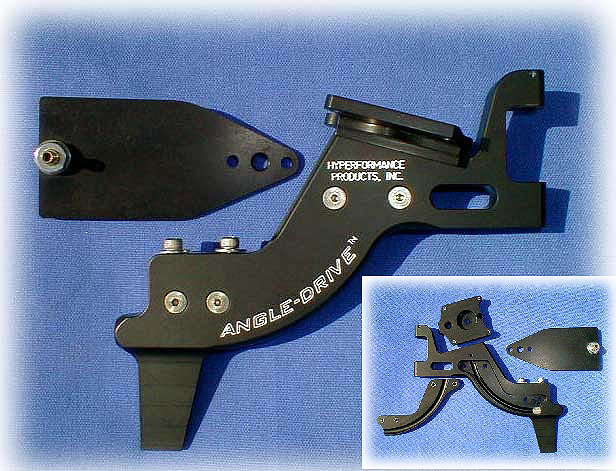 The angle drive features CNC Machined components for precise fits and finish. Black hard anodize assures the best quality and long-lasting finishes available. No need to use "tubes" for the flex cable, the hard anodize provides the perfect surface finish for high-performance. Completely adjustable cavitation plate when you need prop clearance. Comes with water pickup mounted in cavitation plate and Stainless Steel fasteners.